5-track EP available as a CD in printed card wallet or as a digital download in a choice of formats. 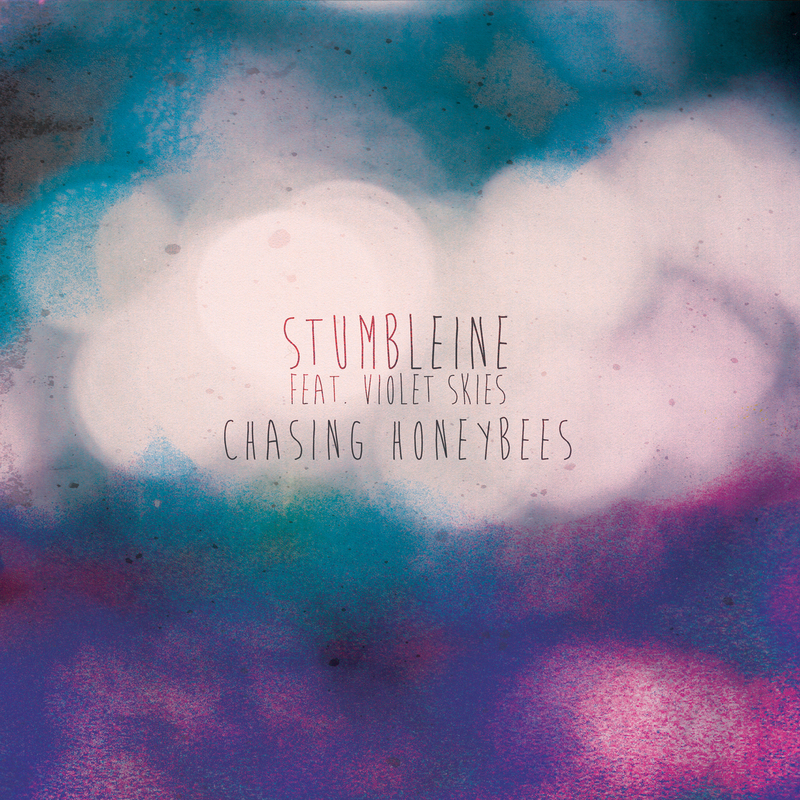 UK producer Stumbleine, who has built a rapidly growing following for his blissed-out, genre-transcending music, has forged a new collaboration with Welsh songwriter/vocalist Violet Skies. The duo have been hard at work in the studio, crafting a collection of songs that fuse the dreamy, shoegazy atmosphere and beats, for which Stumbleine (aka Peter Cooper) is beloved by many, with a more classic pop sensibility, framed in the soulful vocals of Violet Skies. With Violet now involved in the songwriting, the likes of ‘Clip My Wings’ and ‘Just Tell Me’ sparkle and smoulder. Peter admits she’s given Stumbleine a face and stamped his music with her personality. “She makes the music stand out and has opened the door to a wider audience,” he says. The collaboration has been so productive that a full-length follow-up album is scheduled for release in April 2014. “These five tracks give a good indication of what’s to come – I’ve got more aces lined up for the album. I’ve pushed myself much harder over the past year to create something a bit different”, says Peter. With ‘Chasing Honeybees’, Peter has added Violet’s vitality to the dreamy essence of Stumbleine and the results are breathtaking. Violet Skies has recently launched her own solo career, with the recent debut of her first track “How The Mighty” on popular music site The 405. CD: Pressing of 1000 in color printed card wallet.